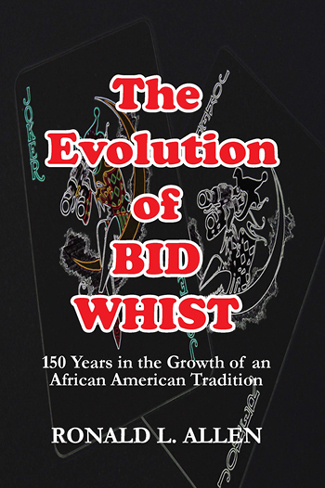 The Evolution of Bid Whist is an authoritative book that contains the most comprehensive information ever published on the subject of Bid Whist. It covers every aspect of the game from its origin and growth period to its American expansion into international popularity in the 21st century. Linda W., Marketing Communications Specialist, Cincinnati, OH. Awesome…information that every Bid Whist player should have. Wendy B., College Faculty Advisor, Modesto, CA. This is a how to book for those unfamiliar with the game and for those who want to sharpen their Bid Whist skills. This information will help Bid Whist players improve their game by revealing winning strategies.